At each full moon we can examine how the polarity partners support each other. 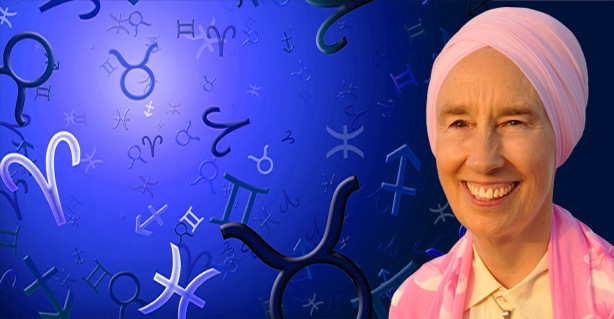 This time we look at Pisces and Virgo. The Pisces archetype represents the miracle zone. Mother Earth Virgo helps us enter and stay in the miracle zone in physical reality. Only 18 hours after the Sun moves into Pisces, the Full Moon in Virgo opens the gates to another chapter of transformation. There are a lot of different energies working during this highly charged full moon. The moon, alone in Virgo, is directly opposed by the Sun in Pisces. Neptune, Mercury, and asteroid Vesta are also in Pisces. This dominating Pisces influence can distract us from the tasks at hand. Unconscious desires, emotions, and impulses can pull us away from being present to what is happening and needs attention. Dreamy Pisces, longing for a respite from physical concerns, can be a master of escapism. Idealistic Pisces can set impossible goals. Even its most cherished goal of living in the divine flow can seem impossible and unrealistic. Virgo invites us to consider the possibility that it is our methods that are unrealistic. Maybe we are trying too hard, creating unnecessary stress, and thus blocking our connection with the divine flow. Maybe if we could just relax, we could feel our divine connection while here in physical reality. The Virgo Moon is in a trine or supportive relationship with Mars in Taurus, which by itself can help us focus on getting things done. However, the practical earth energy is not only pushed by Mars to take action, Mars (at 3 degrees Taurus) within 4 degrees of Uranus (at 29 degrees Aries) fires up an explosive mixture. With Uranus at 29 degrees Aries, there is a sense of urgency to get our personal lives together and to go for what we want from a stance of self-confidence. For seven years, Uranus in Aries has been about finding our identity and being honest with ourselves about who we are, what we want, and what we are here to do. When Uranus moves into Taurus March 1, we will learn that our self-worth is a determining factor in what we are able to manifest. Mars is impatient. Uranus is volcanic. What has been suppressed must be released. Mars in Taurus can be an angry bully focused on pushing others around to get what it wants and to prove that it is right. To avoid misdirecting our fire power, we need to seriously examine what irritates us and be honest about what is bothering us before our pot boils over. ‘Managing to tolerate’ as a strategy is not good enough. We have to be authentically honest. Patience as a cover up for denial only turns up the heat of our inner caldron. We need to take some action. Where you have procrastinated and found excuses? I remember Yogi Bhajan telling us ‘Excuses are excuses.’ Now is the time to do what needs to be done. As an outer planet, Uranus weaves destiny into the fabric of our lives. An external event or situation is often the catalyst that creates necessary change. Uranus steps in when we are too invested in the way things are to recognize that it is time to move on. With Uranus, it is just a question of how much it takes to release our resistance. Uranus (representing the bigger picture of reality) always wins. We will eventually burn out or become destabilized by outside pressures. We may be herded into the cosmic flow kicking and screaming, trampled by the stampede of the cosmic tsunami. Don’t say you didn’t get the storm warning to evacuate, leaving behind your old belief systems and way of life that didn’t work for you anymore. Yikes! This sounds scary. However, I remember Yogi Bhajan telling us that the universe is set up for us to win. A Uranus strike of lightening may be shocking at first, but the aftermath can offer us a breath of fresh air. We get cosmic assistance for what we couldn’t (or would not) do ourselves. The comic cleaner whisks away the cobwebs that have gathered. We are actually happy that the old dust is gone. What we thought we wanted and needed has changed. We are grateful for a cosmic clearing out. If we haven’t had the heart, the time, or the energy to do what needed to be done, fate organizes things for us. Perhaps it is easier that way. Either way, when it is time for change, change happens. It actually may be easier to move on than we think (or feel). Mercury and Neptune align in Pisces (at 16 and 15 degrees). The go-with-the-flow Pisces attitude makes it is easier to let go and embrace something new. We enjoy our new freedom in a dimension of reality that is unattached to the past and able to simply enjoy the present. We have to be in Pisces territory to truly be here now. Isn’t that where we want to be — in the miracle zone? With Jupiter in Sagittarius, we can stay optimistic about change. Pluto, Venus, and Saturn in Capricorn remind us to face the facts, be practical, wisely manage what we have, and carefully direct our efforts to what we really want. It takes time and internal as well as external resources to make progress. This full moon is a good time to assess what is possible, manageable, and realistic. Later I reflected on how we are trained to make excuses. And in the spirit of Uranus in 29 degrees Aries (Be upfront and tell your truth (at least to yourself!) I realized that I have a very good excuse — I don’t want to. I don’t feel like it. I don’t need to make up any excuses! A breath of fresh air blew in and around me. Virgo helps us clear out the dust (excuses) so we can see the light. Sit in Easy Pose, palms together in Prayer Mudra, with the eyes closed and focused at the brow point. Be aware of the centerline of your body in the center of your spine. Inhale deeply and on the exhale chant the mantra SAAAAA AAAAA AAAAA … in six waves up the spine from the first chakra (base of the spine) up to the sixth chakra (third eye). At each chakra chant a separate AAAAA. Feel the S at the base of the spine and then weave the AAAAA up the spine through each of the first six chakras. The “T” vibrates at the top of the head or crown chakra. COMMENTS: If you can, build this meditation a few seconds a day to 31 minutes (or more if you wish). The mind will be cleansed as the ocean waves wash the sandy beach. This is a bij (seed) mantra meditation. Bij mantras such as “Sat Nam” can totally rearrange the habit patterns of the subconscious mind. We all have habit patterns and couldn’t function without them. But some patterns we have created are unwanted. To change, we have to eliminate these sabotaging thought patterns. By vibrating the sound current “Sat Nam” in this manner, you activate the energy of the mind to erase old habits and establish new ones. 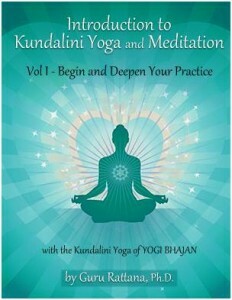 Consequently, this meditation is a good introduction to Kundalini Yoga. It will open the mind to new experiences. This meditation can be used to clear off the effects of a hurried day and before beginning another deep meditation. After chanting this mantra, you will feel calm, relaxed, and mellow. Sit quietly after chanting and enjoy the clear, quiet inner space. Collis, Diana McMahon, Virgo Full Moon — February 19, The Mountain Astrologer, February/March 2019, p. 89. 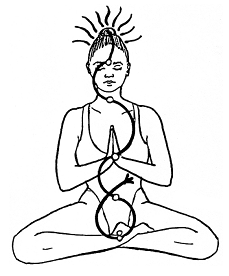 (1) Seven Wave Meditation is from Introduction to Kundalini Yoga Vol 1, page 136. ← Are Your Fish Swimming with the Flow?